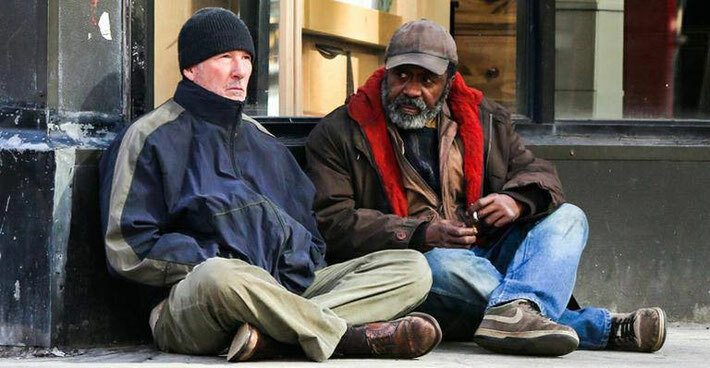 Time Out Of Mind follows George (Richard Gere), a homeless man struggling to survive on the streets of New York. Forced to seek refuge in a men’s shelter, George’s life seems destined to spiral ever downwards. But then he meets Dixon, a down and out former jazzman (played by Ben Vereen). Their friendship teaches George many things about his life - past, present and future - and inspires him to try to reconnect with his estranged daughter Maggie (Jena Malone). Time Out Of Mind is the third film from director, Oren Moverman. Moverman also directed Rampart, the LA police drama starring Woody Harrelson (click here for my review of Rampart). Both films were well received by critics. Both films feel eminently worthy (looking at police corruption and homelessness) and both feature impressive performances (from Harrelson and Gere). Both films look handsome and are intelligently shot. However, despite this, I couldn’t honestly report that I enjoyed either Rampart or Time Out Of Mind. And, regardless of all the effusive reviews from venerable film critics, I have to be honest. It is not that I hated Time Out Of Mind. Far from it. Indeed, there is much to admire about this film. For a start, too few movies tackle homelessness and George’s situation is both heartbreaking and thought provoking. I appreciated how Time Out Of Mind dealt with George’s inability to accept his status. For him, life in the homeless men’s shelter is only temporary. He doesn’t need to beg for food. He has nothing in common with the other homeless men around him. George is in such deep denial that it takes Dixon to make him realise the reality of his situation. And as it hits him (and hits him hard) we start to understand how someone could all too easily slip through the cracks of society - to the point where they do not exist anymore. Moverman does not spoon feed his audience with background details. Instead, he makes us study George (often focusing on his face as he reacts to life around him) making us do the work in finding out what we need to know. Gere gives a powerful performance. However, for me, he was always Richard Gere. Even at his lowest point, he doesn't look quite rough enough. However, this could be because George is trying so hard to keep himself together - to maintain the pretense that he isn’t actually homeless. In addition, one of the points of the film is that no one is above being homeless. While I sympathised with his situation, I found that I didn't truly connect with George - Time Out Of Mind just did not do enough to make me care deeply about him. Time Out Of Mind is a visually stylish film. As I was watching it I was aware of Moverman’s careful shot composition. We often view George through a window - we are on the inside looking out at him. We are part of society, he is on its fringe. Sometimes we have to search for George within a frame as he starts to disappear from acceptable life. However, I was often too aware of the style of this movie. I felt that the visual metaphors were being rammed down my throat. This, in addition to my sense that this film was about 30 minutes too long, made me feel quite relieved when Time Out Of Mind drew to a close. Despite being interested in George’s story and impressed by all the central performances, I have to be honest - I just didn’t enjoy this film. 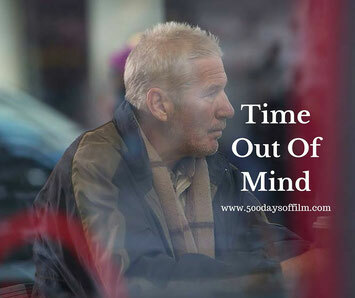 Have you seen Time Out Of Mind? If you have, what did you think?